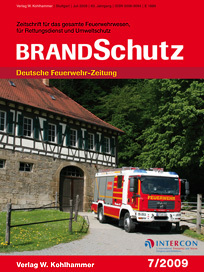 Articles in the magazine "BRANDSCHUTZ - Deutsche Feuerwehr-Zeitung"
are allowed to download at the "Verlag Kohlhammer" (in German). 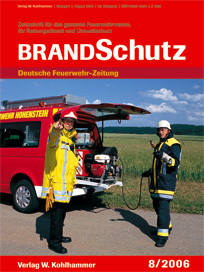 This pdf-file contains pictures of numerical fire sumulations showing the smoke spread at different circumstandes (with or without a ventilator / with or without a portable smoke stopper). These pictures show that the use of portable smoke stopper the stairway can kept smoke fire under most circumstandes. 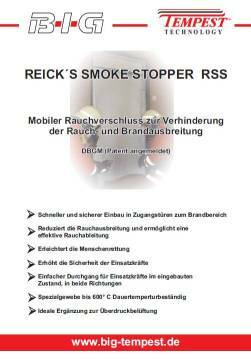 The Addition "rs" means, that a portable smoke shield is mounted in the upper part of the door. The movies are made out of pictures in sequences of 1 second. Therefore the movies are in realtime modus.